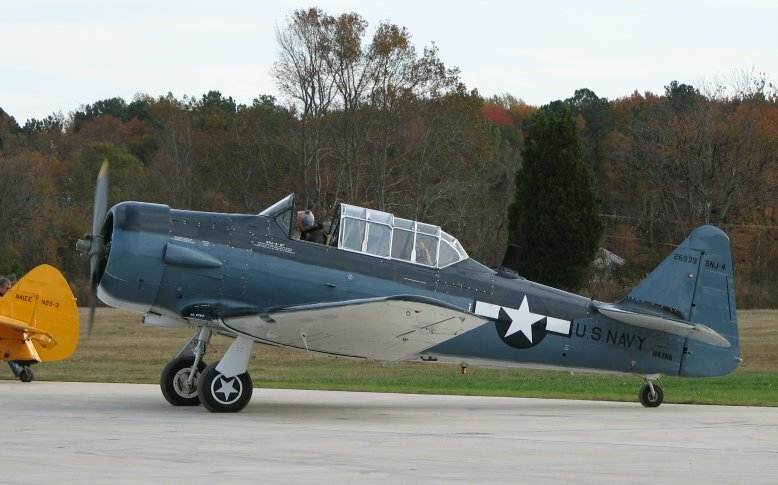 For fun, my wife and I decided to visit the Virginia Beach home of The Fighter Factory, an aircraft restoration company specializing in historical warbirds. As I mentioned on the first page and my first report, the airport itself is a working airport, supporting banner-carrying aircraft that ply the nearby recreational oceanfront with advertising banners. 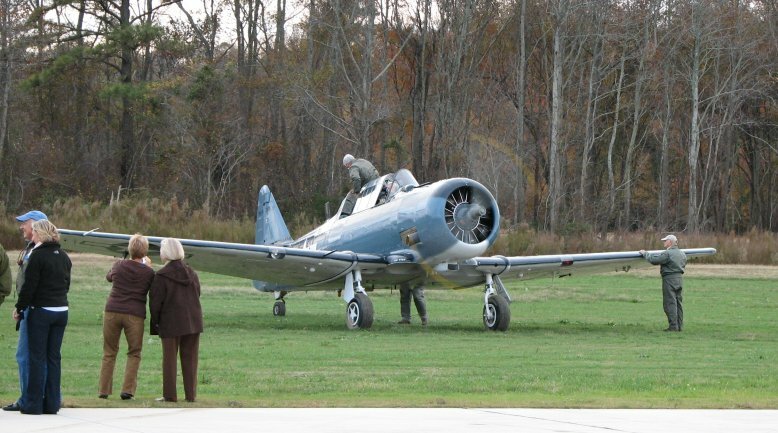 On the property, the owners have built a beautiful facility with two hangers that serve as home for a rotating stable of last-century aircraft that have been restored to new, flying condition at the institute's schools. On this visit, there were a few steeds that were new to me. My wife and I visited expecting to find all the airplane on static display, as they were on my last visit, but we were in for a surprise. While we were there, the Vietnam-era pilots of VF-35 were having a reunion and enjoying the facility and planes. As part of their reunion, the Fighter Factory folks were planning to give them joyrides. 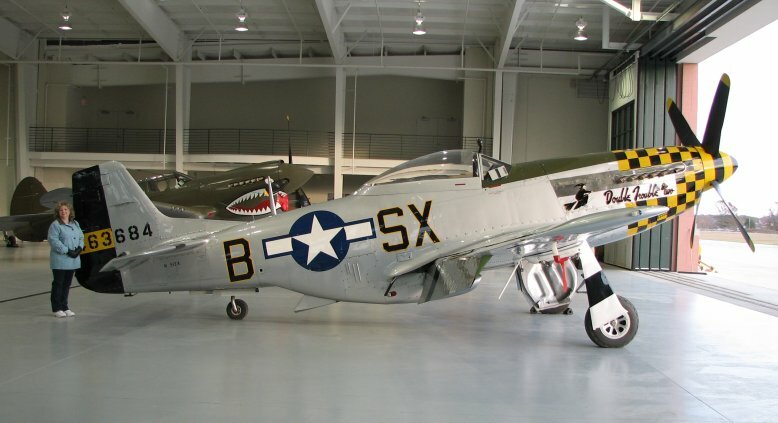 As we entered the doors of the Air Corps Hangar we were greeted by a magnificent P-51D Mustang built in 1945. 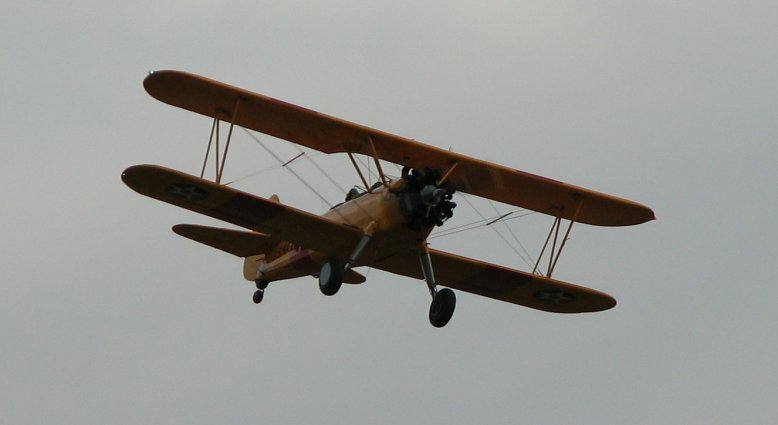 This particular aircraft served in Europe at the end of the war. My wife was determined to get me into some of the pics this time. 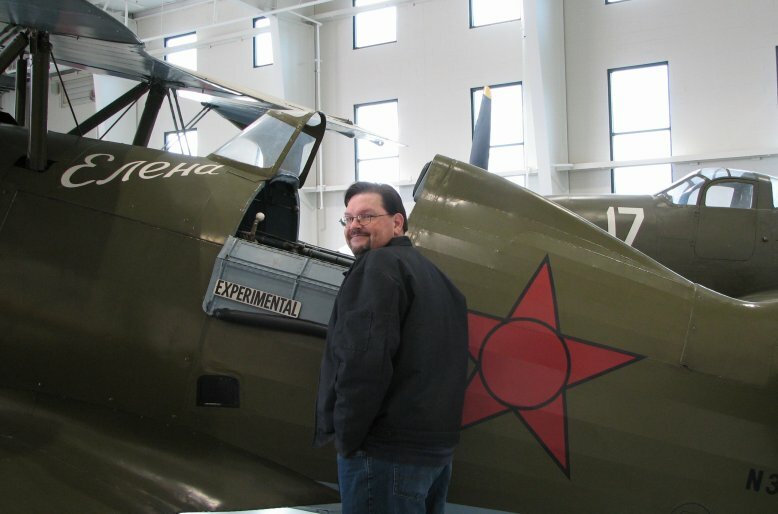 Here I am while looking into the cockpit of the collection's Polikarpov I-15bis. We heard activity on the hardstand and wandered out, where we found the aircraft handlers preparing the planes for flight. 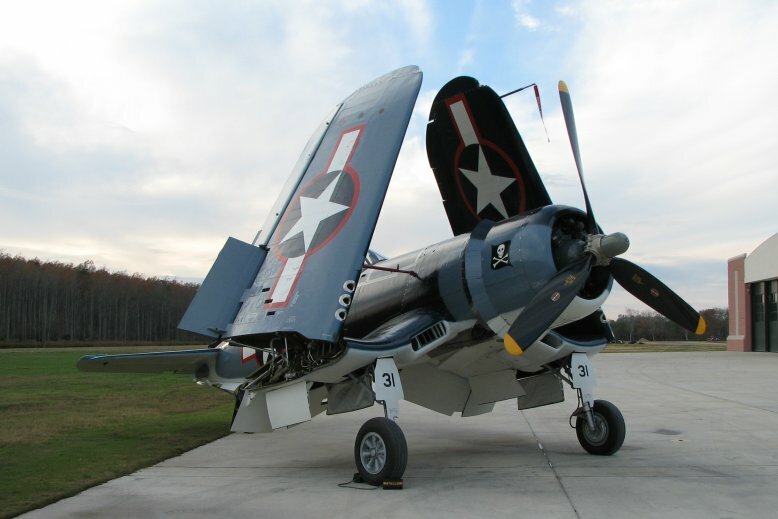 Parked in front of the doors of the Navy hangar where the reunion was happening was this beautiful FG-1D Corsair. 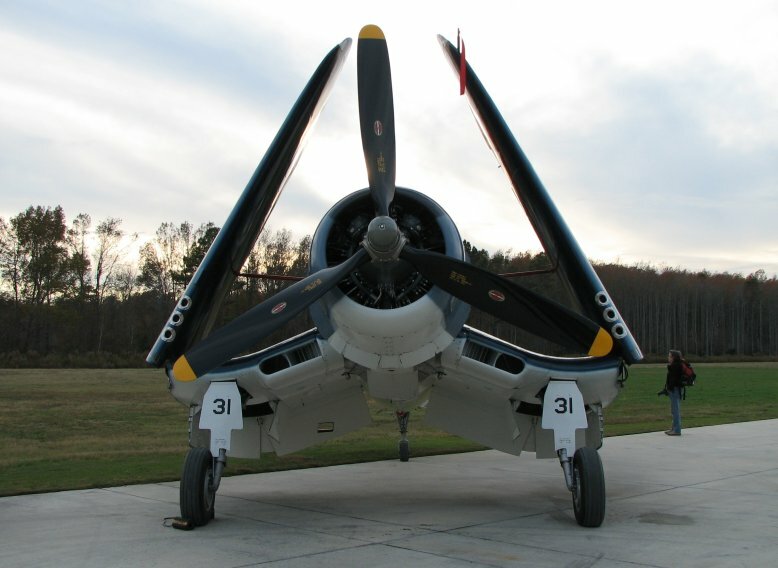 Though it was designed by Chance-Vought and given the designation F4U, much of this fighter's production run was farmed out to other manufacturers and the letter designations were changed by the Navy for each. This one was produced by the Goodyear Corporation. 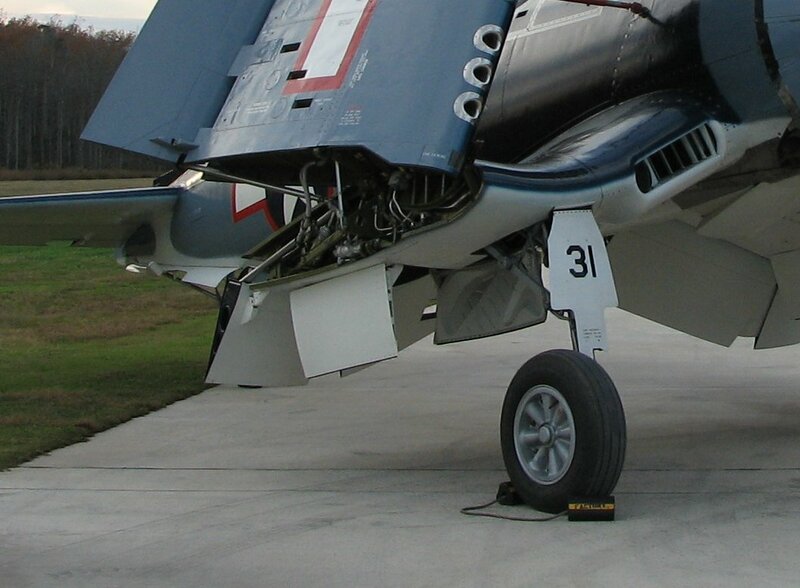 Click image for a close-up of the interesting wing hinge. 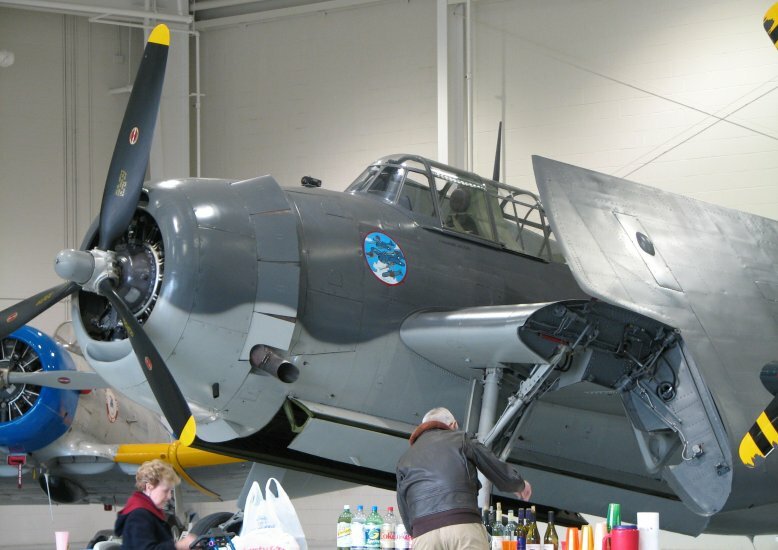 Meanwhile, inside the Navy hangar, the caterers had setup the spread in front of the collection's immaculate TBM Avenger. 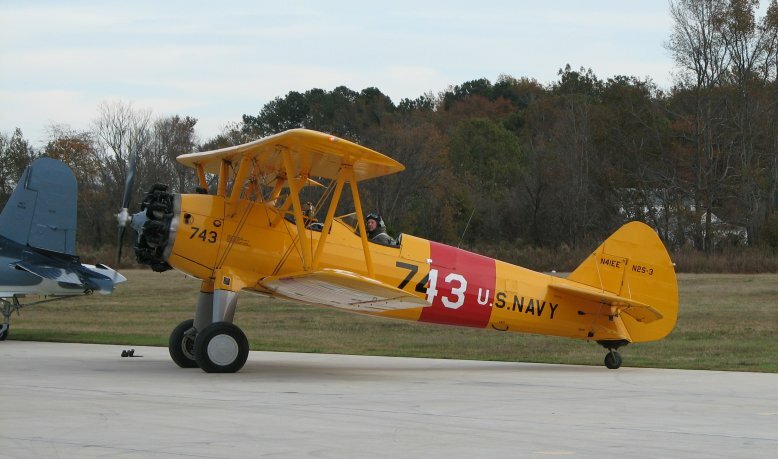 This is the aircraft type that George H.W. Bush flew in the Pacific. He always named his planes after his then-girlfriend, Barabara. 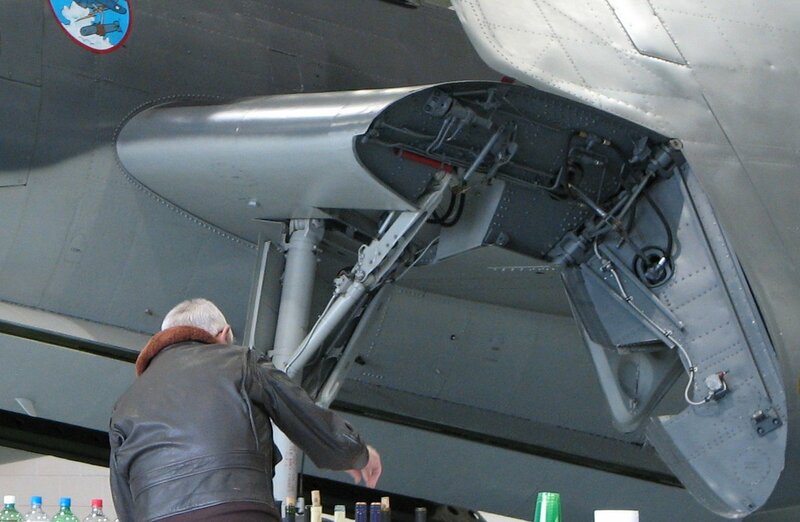 Click image for a close-up of another interesting wing hinge containing the landing gear. 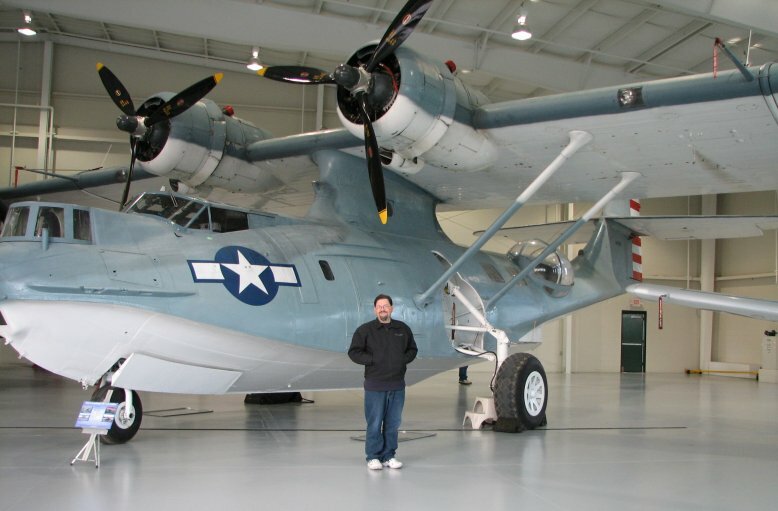 To one side is the collection's marvelous Consolidated PBY-5a Catalina. 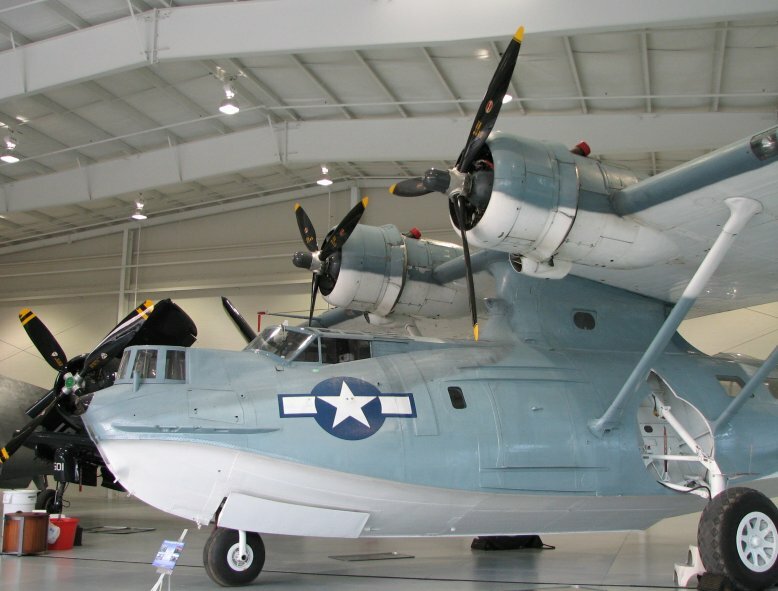 After being built at the Consolidated California plant, she flew cross country to the East coast and Norfolk. Though she spent a short while in Africa and Europe, she spent most of the war flying submarine patrols off the Northeast coast of the U.S.
By this time, we heard engines starting on the hardstand and went outside where we saw the blue SNJ4 warming up. 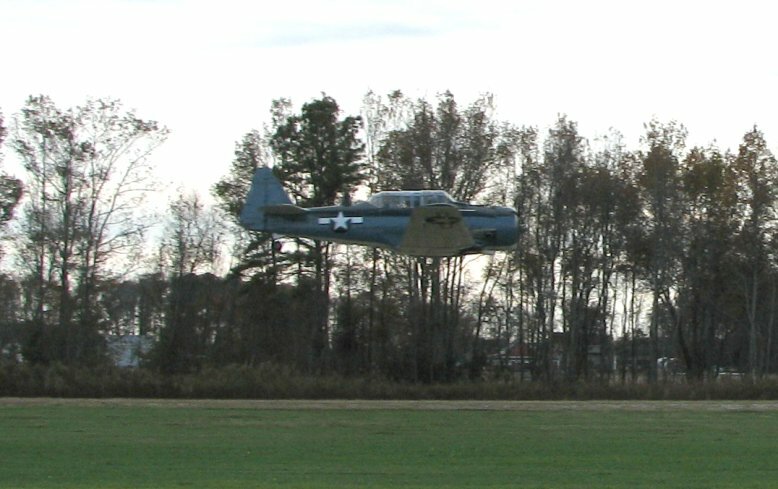 Due to the shutter speed, you can barely see the motion of the prop in this shot. 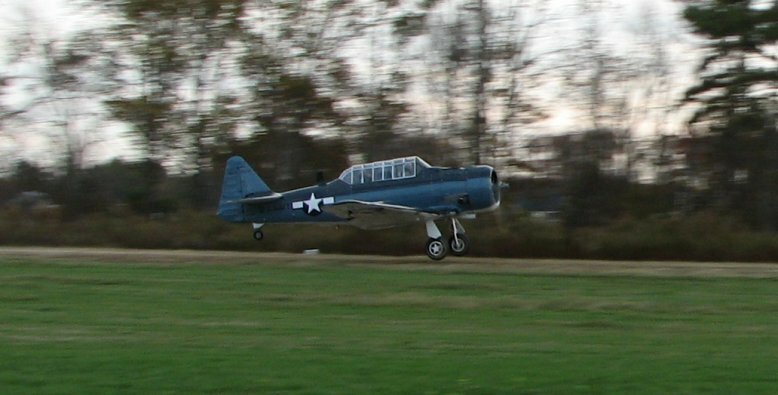 When she was warmed up and loaded, the pilot taxied her to the downwind end of the strip and took off. After several tours of the field's circuit, she lined up and beat up the field, making high speed passes at about twenty feet. ...she was forced to a stop. When the tractor was unable to extract her, the former pilots and I converged upon her and pushed her out. I pushed between the port landing gear and the landing light. She was soon on dry ground and ready to take a new rider. and took off. Here she is on a high-level pass. 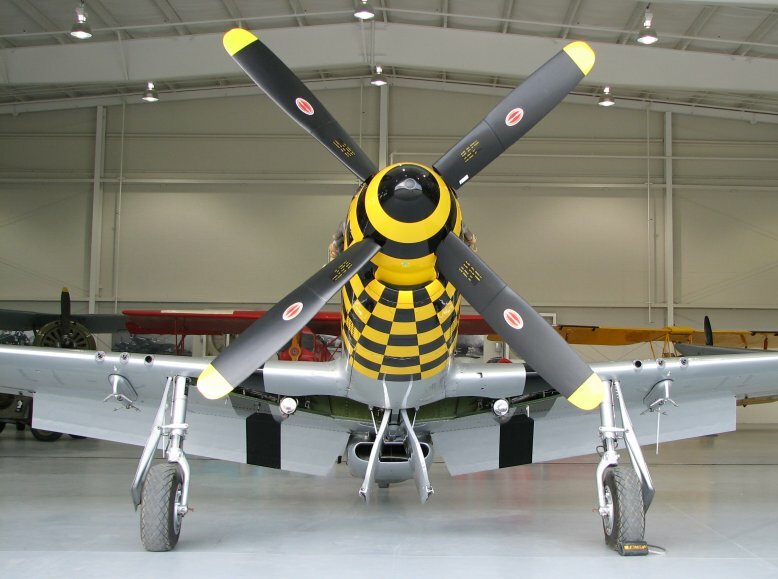 And they are right: There's nothing like the rumble of a radial aircraft engine driving a large prop! 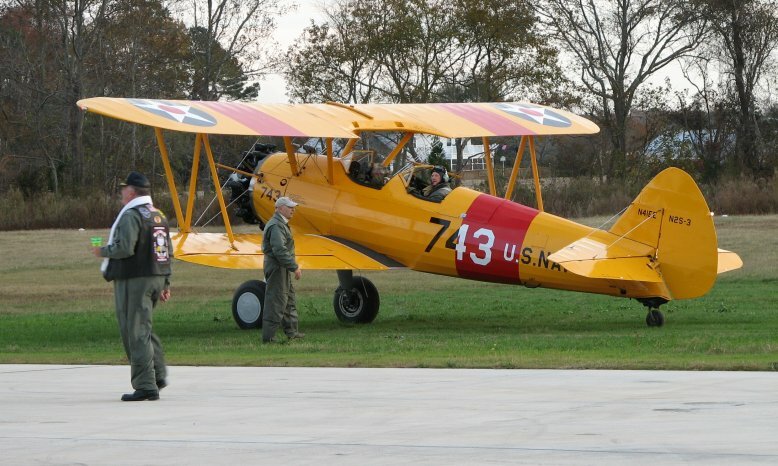 You can see photos from my first trip to Virginia Beach Airport HERE.